Sometimes it all comes together, being in the right place at the right time. The evening sun during the golden hour time created incredible lighting and color for my images. 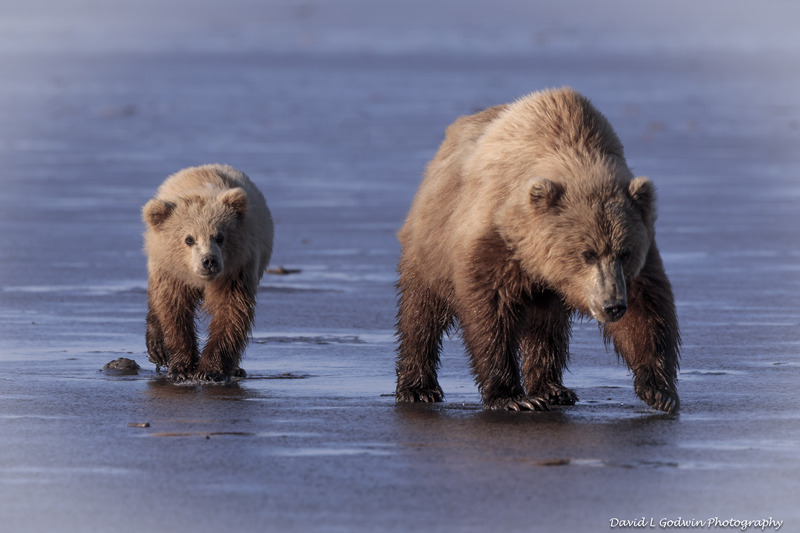 This mom and cub were on a walk along the tidal mud flats digging for clams. I was set up in the right place to capture this great moment !